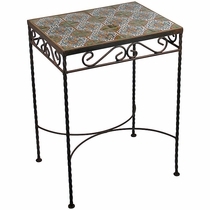 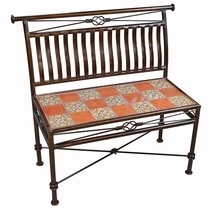 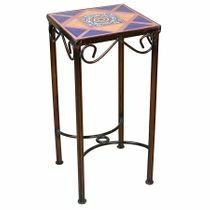 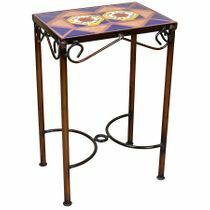 Our Mexican wrought iron occasional tables feature beautiful Talavera tile tops. 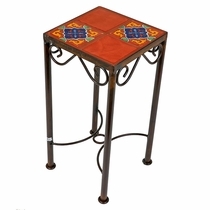 The Talavera tiles are all Mexican made, hand painted and sealed. 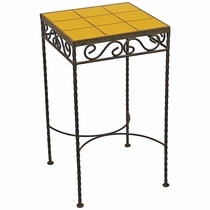 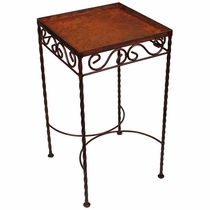 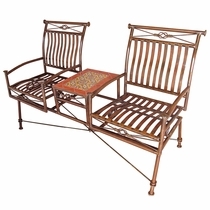 These sturdy iron side tables are perfect for patios, sunrooms or any other room. 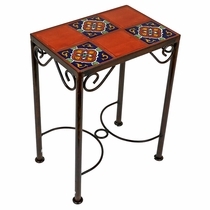 The tables we offer come in two sizes, 9-tile tables or 12-tile tables with your choice of solid color tiles or a variety of patterns. 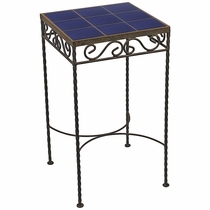 These handy tables can also be used poolside to hold drinks and snacks. 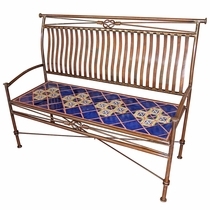 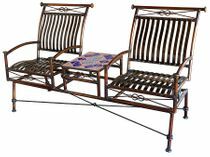 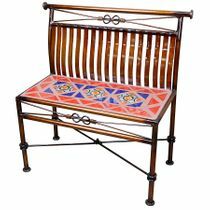 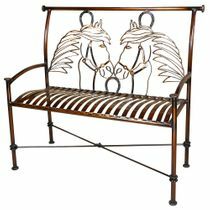 All of our wrought iron furniture is handcrafted in Mexico. 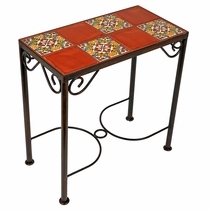 Create Your Own Mexican Tile Side Table: Just order one of the blank iron tables below without tile. 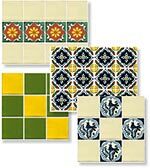 Order any box of tile from our huge selection to make your own table top design. 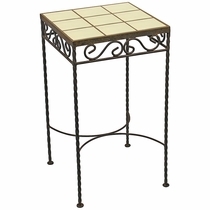 Use grout from your local hardware or craft store. Click on the tables below for details and ordering. See our huge selection of 4" Talavera Tile. 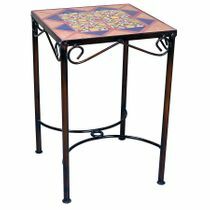 Small Mexican Iron Side Table with Talavera Tiles - 10" x 10"
Mexican Iron Side Table with Talavera Tiles - 14" x 10"
Mexican Iron Side Table with Talavera Tiles - 14" x 14"